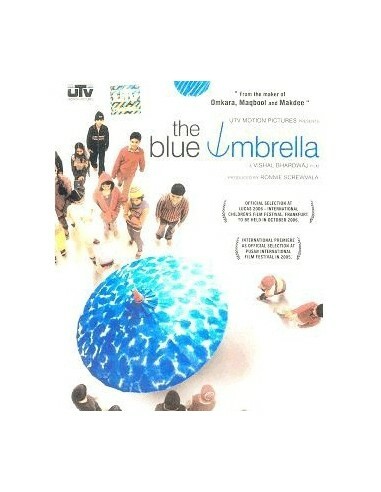 Biniya, a ten-year-old girl from a village finds a beautiful and fascinating blue umbrella falling from the sky. She roams around the village with the umbrella, making people jealous of her possession. Most of all, it is Nandkishore Khatri, the tea stall owner, who can’t bear to see the umbrella in Biniya’s hands. Nandu, a 60-year-old man wants the umbrella like all villagers and he makes an attempt to get it from Biniya, but fails. He even gets obsessed with the umbrella but then, he loses heart and forgets about it. One fine day, the umbrella goes missing. The villagers feel sad for the little girl as the umbrella has by now assumed a mythical status and is almost her life. Biniya finally decides to find her umbrella.